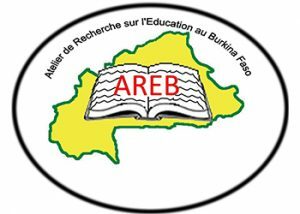 In 2016, NORRAG has set up a second Collaborative Program in Africa, with the Research Workshop on Education in Burkina Faso (Atelier de Recherche Éducation au Burkina Faso – AREB) hosted by the National Institute for Social Sciences (INSS) in Ouagadougou, Burkina Faso. AREB was initiated in 1999 by professors and researchers from the University of Ouagadougou – now University Ouaga 1 Professor Joseph Ki-Zerbo – the Centre National de la Recherche Scientifique et Technologique (CNRST), the French Research Institute for Development (IRD) and other education and training stakeholders. Since then, monthly seminars gathering representatives from ministries, academia and civil society organizations have been discussing research outcomes. AREB is conducting various other activities around the theme of education. A book was published in 2002 following an international conference on the Challenges of Educational Research. Today, thanks to the support of the Agence Française de Développement (AFD), a new website is in place, the inventory of knowledge on education in Burkina Faso is underway, as well as the production of a book on the evolution of the national education system since 1960 (to be launched at a conference at the end of 2017). Visit the AREB website for more information. To contribute to capacity development of the new generation of national researchers. A formal launch event took place on 16 May 2017 in Ouagadougou, during which two Policy Briefs were launched: AREB & NORRAG Policy Brief #1 “Research as a means of fulfilling the need for knowledge on education. Looking back on research experiences in French-speaking Africa” (also available in French) and AREB & NORRAG Policy Brief #2 “La place de l’évaluation des apprentissages dans les systèmes éducatifs d’Afrique subsaharienne: le cas du Burkina Faso”. These documents will be available for download on NORRAG website shortly. In the meantime please contact us should you wish to receive a copy. A presentation of La Lettre de NORRAG 54 (French version of NN54) on “Education, Training and Agenda 2030: What Progress One Year On?” with additional Burkina Faso contextualized content. AREB & NORRAG Policy Brief #4 will examine the ways Burkina Faso policies in education and training are interacting with development cooperation agencies, policies and SDG4, and will be released in the first quarter of 2018. The program has received strong interest from national stakeholders. A private foundation has shown interest in testing this program, possibly in a few Western African countries, as a “good practice” in collaboration with AFD and the Association pour la Recherche sur l’Éducation et les Savoirs (ARES France and NORRAG).